My House E.P ? Elliott DjEv Venegas ? Toupee Records. ? target release date March 16,2018. 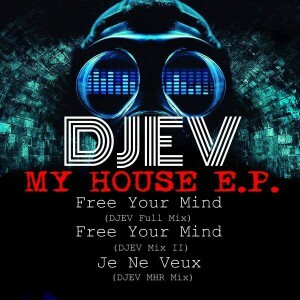 Elliott DjEv Venegas returns to Toupee Recs after his bangin release package It?s Just A Sample E.P which is still rockin the Afro/Latin/Brazilian Charts and can picked up at http://bit.ly/2gFSOIe . He also has the slammin African Tanzania/Damelo E.P out now Cyberjamz Recs. ? http://bit.ly/2ym0Vnt . Both E.P?s are on the money ! Now we have this bangin made the dance floor joint entitled ?Free your Mind? ,a follow me to the matrix of dance floor and Free your mind while letting go of the madness of the World. This cut is dope as well as ?Je na Veux? a dope tech-house slammer for you deejay?s that play different.This is another nice joint cause it doesn?t loose the soulful side of things while maintaining the tech-house element for those late night sessions. All and all this is an awesome release package.